United to move for Manolas? The Red Devils are expected to be in the market for a new central defender in the summer and a host of players have already been linked with a move to Old Trafford. However, a report from Leggo claims that Manolas has been identified as one of the targets and the Red Devils are contemplating whether to active the £31m escape clause in his contract. 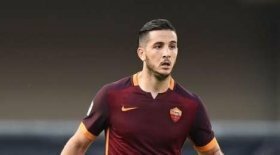 Manolas has been with the Giallorossi for the past five years and on different occasions, he has been linked with a potential move to the Premier League with the likes of Chelsea and Arsenal interested. At £31m, Manolas would no doubt prove a cost-cut option to strengthen the heart of the United defence, and this may allow Solskjaer with the opportunity to save funds to bolster other areas on the field. Chris Smalling and Victor Lindelof have remained the first-choice central defensive combination under Ole, but they have struggled to keep clean sheets over the past few weeks.